I had an amazing time today at the presentation about The Hill in Easton — I got to hear stories from current and former residents about the way African Americans developed this neighborhood from the late 18th-century to today. We took a walking tour and stopped into one of the churches that is at the neighborhood’s core. I also discovered that I had happened upon a real gem during a prior project that has value for the history of The Hill. 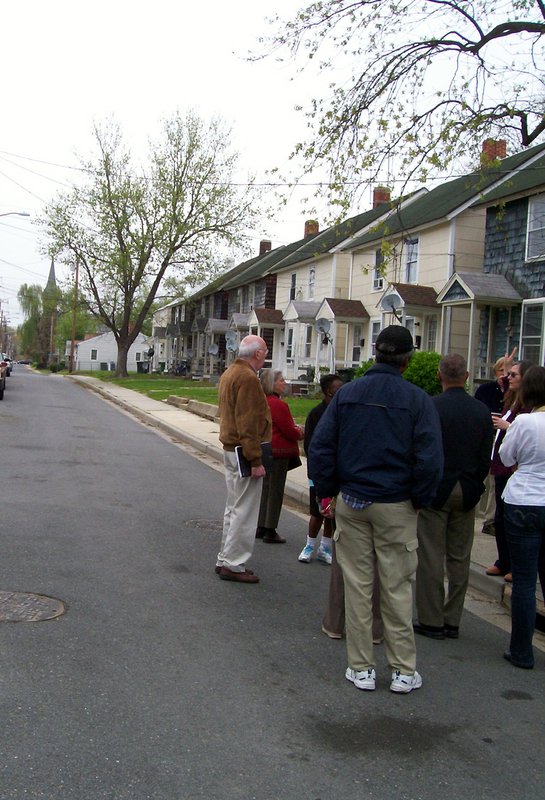 Our tour started on Higgins Street, in front of these duplexes that pre-date indoor plumbing. 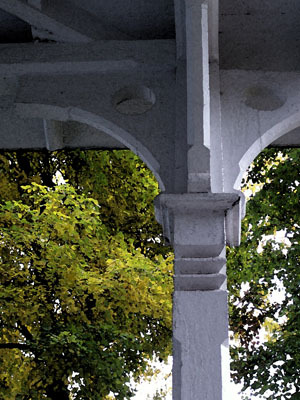 A resident said that bathrooms eventually were built on to the back porches of houses. 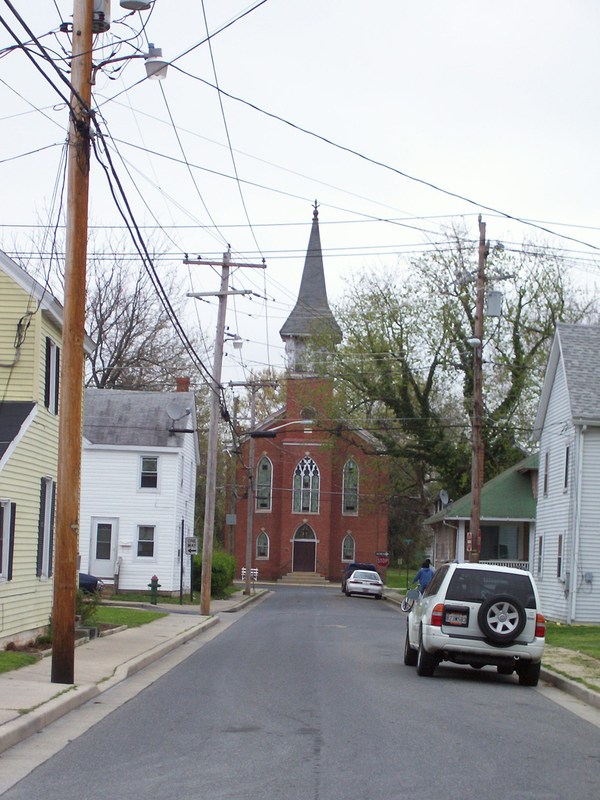 Another view down Higgins Street, with the AME church steeple in the background. The steeple of the church is topped with a pineapple, a Colonial symbol of welcome and hospitality. The church dominates the view down South Lane. The “Buffalo Soldier’s House.” Sgt. William Gardner never lived there, but his enlistment papers were found there. 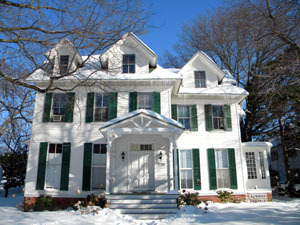 The house was owned by his brother. 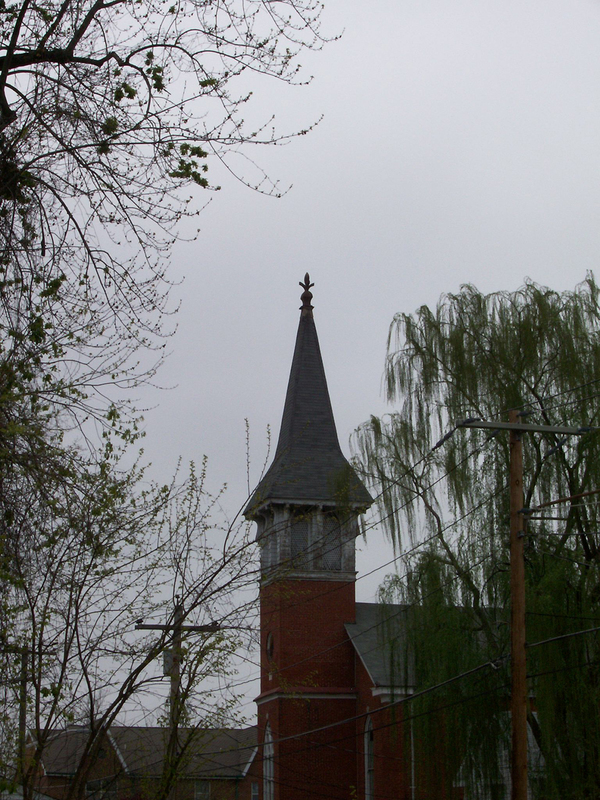 View of the “Buffalo Soldier’s House” with one of The Hill’s AME church steeples in the background. 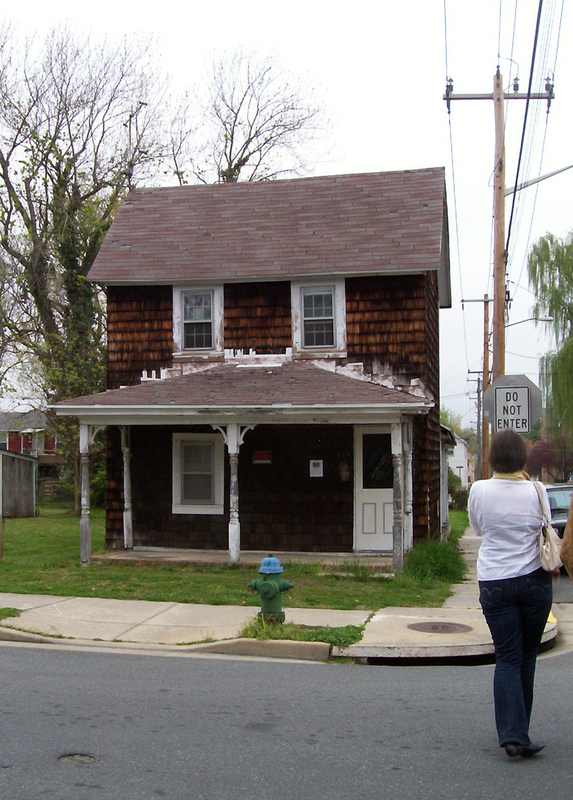 Archaeologists from the University of Maryland will dig at this site this summer. 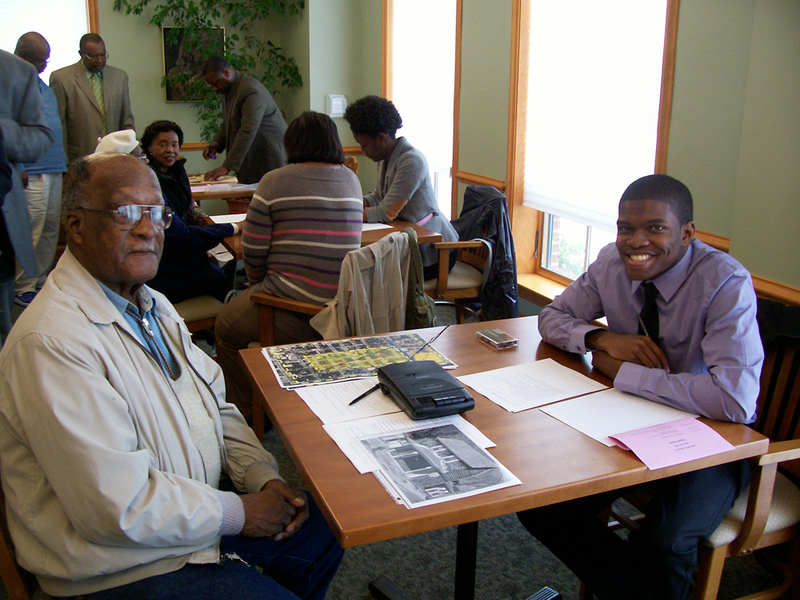 Barney Brooks, a descendant of one of the owners of the “Buffalo Solider’s House” is interviewed by a student from Morgan State University during today’s breakout session, where residents could tell their stories and have their documents scanned for posterity. Habitat for Humanity will be renovating this house. Today, they were painting the boards over the windows and doors to make them look like real windows and doors in the interim, to keep the property from looking abandoned. 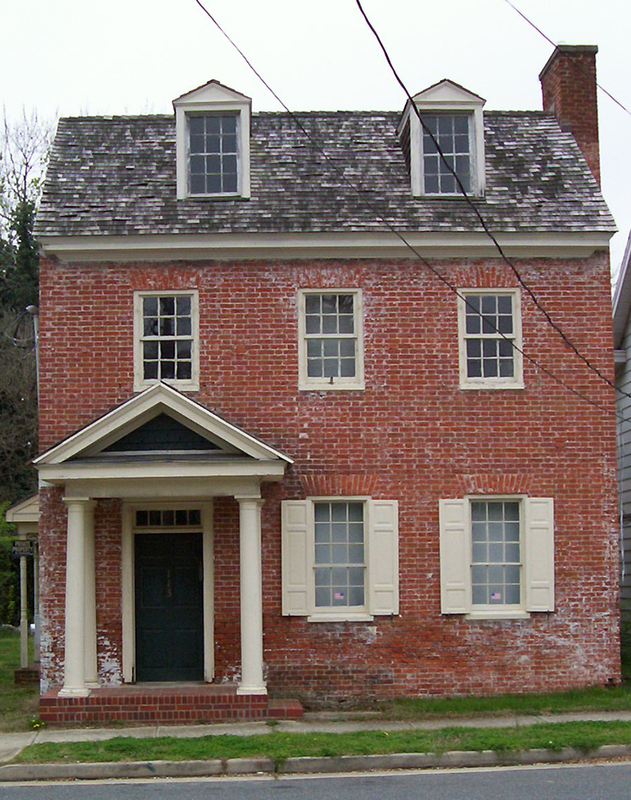 This is one of the oldest houses, especially brick structures, in The Hill neighborhood, dating to 1798. The corner of Hanson and South Streets, with 3 c.-1870 brick homes. 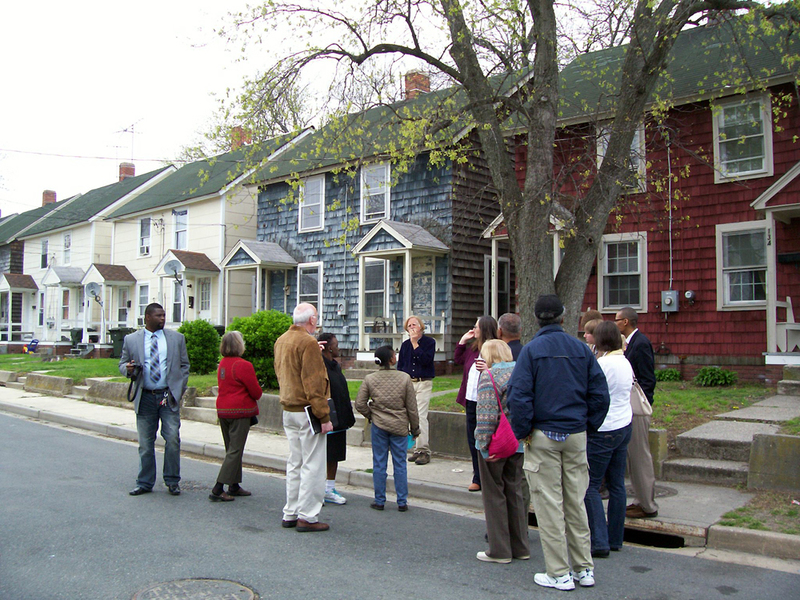 The neighborhood has traditionally been mixed-race. Columbia, Md., developer James Rouse (aka actor Edward Norton’s grandfather, for those outside of Maryland), grew up here. 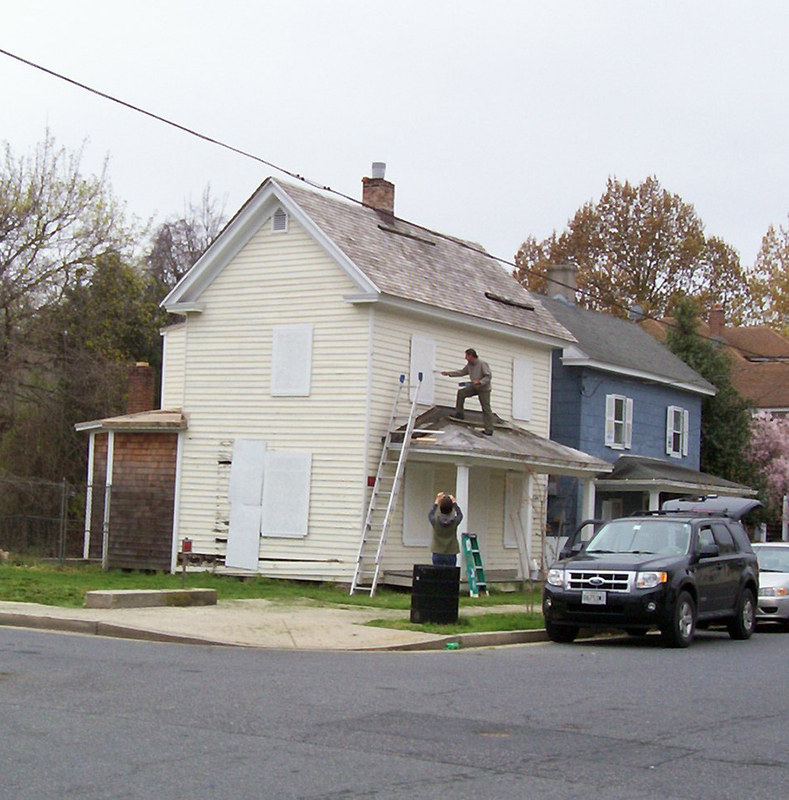 He got his ideas for creating a mixed-income, mixed-race community from his time spent in Easton. 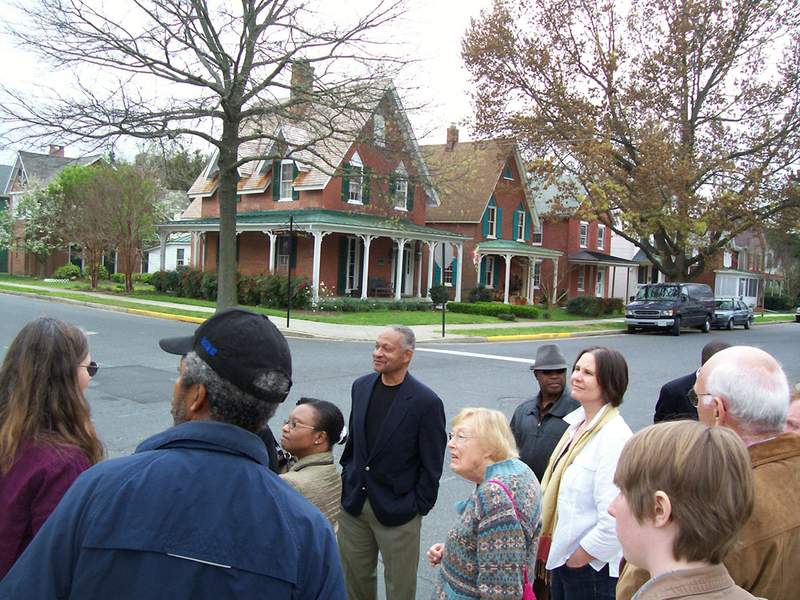 Frederick Douglass once spoke at both AME churches in Easton. The rostrums at which he spoke survive to this day. 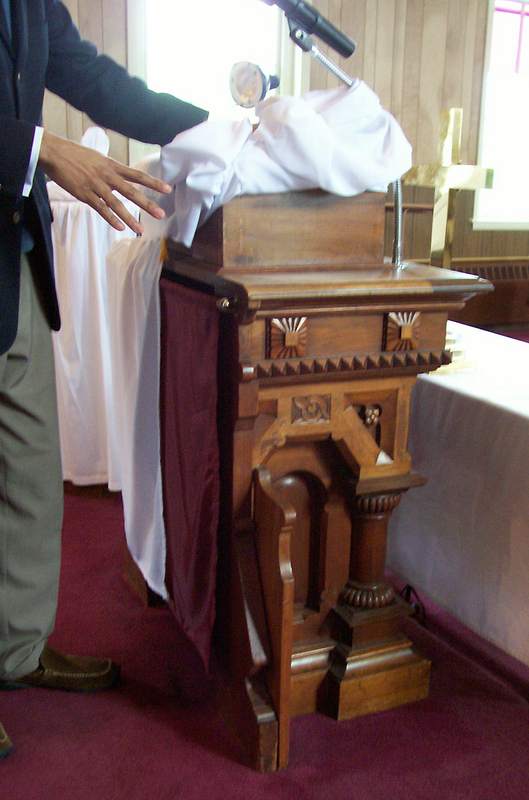 Here is the rostrum at the Bethel AME Church on Hanson Street. Now, for the coolest part of the day for me. In a talk about the “Buffalo Soldier’s House,” local historian Priscilla Morris mentioned two black women from The Hill, Ann Eliza Skinner Green Dodson and her sister, Temperance (whose son was the Buffalo Soldier, William Gardner). [4/2: Oops! I was a little confused during this presentation — I was so excited when I realized I had the photo. 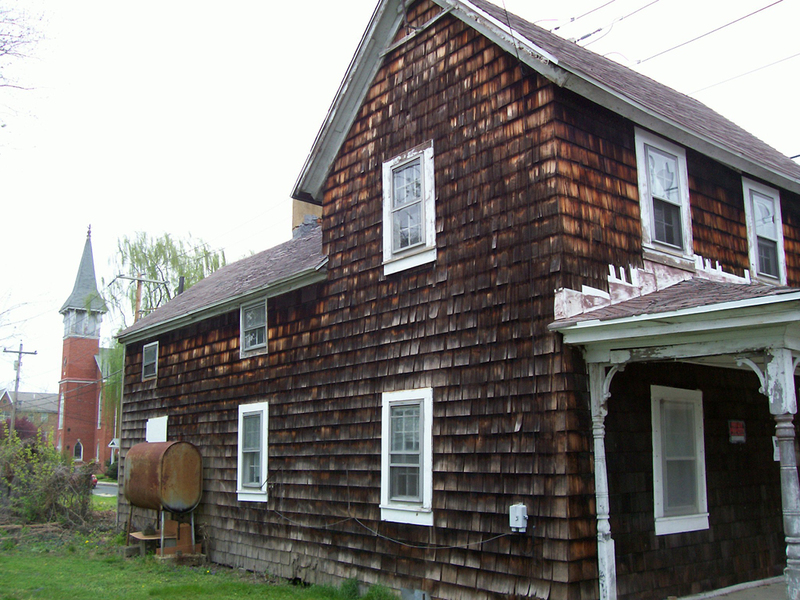 Temperance’s sister Ann was an early owner of the property known as the “Buffalo Soldier’s House.” The house passed to Temperance’s son before it was sold to the Gardner family.] Morris mentioned that Temperance was a servant of the Hambleton family, who lived in the building that is now the Bartlett Pear Inn. I realized I had a photo of Temperance. 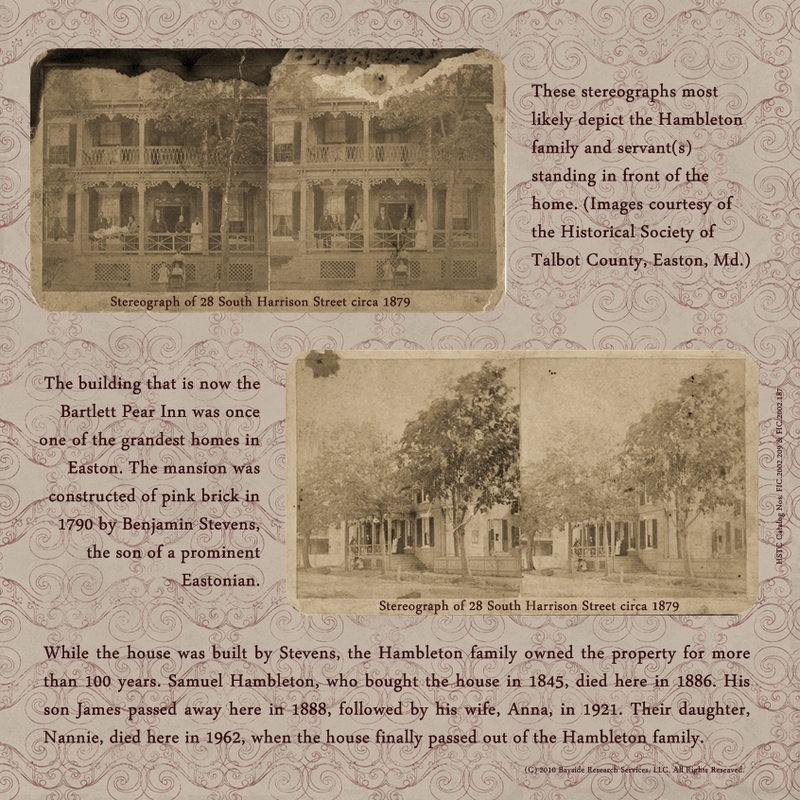 When I did the history of the Bartlett Pear Inn, I came upon a stereograph image of the building (the top photo on the poster here) at the Historical Society of Talbot County. Pictured on the front porch are members of the Hambleton family. On the sidewalk, with two of the Hambleton children, is the Hambleton’s African American servant. Temperance. No one at today’s meeting had seen the image before — I was able to show it to them on my phone. It was so exciting to share this rare piece of history with the group! The Tylor House located on South Washington Street in Easton, Md., was completed in 1888 by Wilson Tylor and his wife, Elizabeth Needles Tylor. The alley behind the house is named Tyler’s Lane, most likely after the property. The family name is spelled both Tylor and Tyler in various records. After Tylor retired from the Easton Gazette, he operated a small printing press in a meat house on the property on South Washington Street. He filled in the names of graduating seniors on diplomas for the Board of Education.3 Perhaps the structure in question is the shed that remains on the property today. Tylor and his wife were Quakers. Wilson Tylor was at one time in charge of the Friends’ School in Easton. He and his wife are buried along with several of their relatives on the grounds of the Third Haven Meeting House, located only a block away from the Tylor House on South Washington Street. More can be learned about the Tylor family in The Tylors of Talbot and Caroline County, by Laurence G. Claggett. The book is available at the main branch of the Talbot County Free Library in the Maryland Room. Claggett was the Tylors’ grandson. Sadly, he passed away earlier this year. After the Tylors passed away, their children sold the home to Mary Clough, who divided it into apartments.7 The property was and often still is used by nurses working at the hospital across the street. *Photos of the home may also appear in Quakerism on the Eastern Shore by Kenneth Lane Carroll and 75 years of caring: a history of the Memorial Hospital at Easton, Md., 1907-1982 by Dickson J. Preston (p. 173). Both of these books are also available at the Talbot County Free Library in Easton. More details about the Tylors and how I performed this research project can be found here at my blog (use tag: Tylor). Interested in having me research your property? Email me. All photos and text by Melissa Corley (c) 2009. All rights reserved. Claggett, Laurence G. The Tylors of Talbot and Caroline County. Easton: Self-published, 1989. Claggett, Laurence G. Two Lives Entwined: Jonathan and Rebecca. Easton: Self-published, 2008. Digital Sanborn Maps 1867-1970. ProQuest. Digitial images. http://auth.esrl.org:2248/ : 2008. “Eastern Shore Newsmen: 1830-1980.” Transcript by Tidewater Times, at“Tidwater Times,” Tidewater Times. http://www.tidewatertimes.com/HaroldW.Hurst-May2007.htm : 2007. Maryland. Talbot County. 1930 U.S. census. Digital images. HeritageQuest Online. http://persi.heritagequestonline.com : 2009. “Eastern Shore Newsmen: 1830-1980.” Transcript by Tidewater Times, at “Tidwater Times,” Tidewater Times (http://www.tidewatertimes.com/HaroldW.Hurst-May2007.htm : accessed 10 October 2009); citing original publication in Tidewater Times, May 2007. Laurence G. Claggett, The Tylors of Talbot and Caroline County (Easton: self-published, 1989), 73. Laurence G. Claggett. Two Lives Entwined: Jonathan and Rebecca (Easton: self-published, 2008), 80. Claggett, The Tylors of Talbot and Caroline County, 74. Digital Sanborn Maps 1867-1970. (ProQuest, 2008), 10, “Sanborn Maps of Maryland, Easton, May 1919”; digital images, The Sanborn Company (http://auth.esrl.org:2248/ : accessed 10 October 2009). Digital Sanborn Maps 1867-1970. (ProQuest, 2008), 14, “Sanborn Maps of Maryland, Easton, January 1927”; digital images, The Sanborn Company (http://auth.esrl.org:2248/ : accessed 10 October 2009). 1930 U.S. Census, Talbot County, Maryland, population schedule, Easton City Ward 4, p. 182 (stamped), enumeration district (ED) 21, sheet 10-A, dwelling 246, family 282, Wilson M. Tylor; digital image, HeritageQuest Online (http://persi.heritagequestonline.com : accessed 10 October 2009); citing National Archives and Records Administration microfilm T626, roll 879. On Saturday, I posted about a mini research project that I did about the history of the house where I’m renting. The original owners of the 1880s Victorian mansion were Wilson M. and Elizabeth N. Tylor. As I detailed, Wilson was the editor of the Easton, Md., newspaper for many years. Both he and his wife had longstanding ties to the region. Both were Quakers and so were buried on the grounds of the Third Haven Meeting House, here in Easton. Turns out, that cemetery is practically across the street from where the house stands. I took a stroll over there this past Sunday. The Tylors had five children, but I only found two of their graves in the vicinity of the parents at the cemetery. Sadly, Laurence Claggett, a Tylor relative and historian who wrote the books I found over the weekend about the Tylor family, passed away only last month. The death notice I found online stated his service was to be held at the Third Haven Meeting House. I didn’t see his grave there, but I wasn’t looking for it at the time.